In a medium saucepan, cook the tortellini according to package instructions. When cooked, drain and toss with marinara sauce. 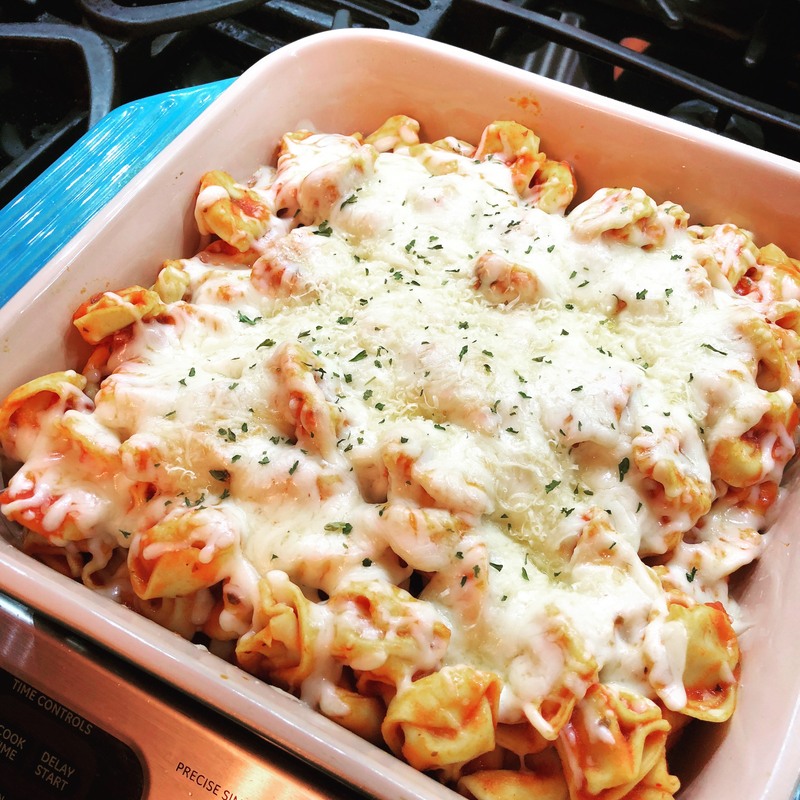 Place tortellini in an 8 x 8 baking dish. Top with mozzarella and parmesan. Bake for 8–10 minutes or until cheese is melted.